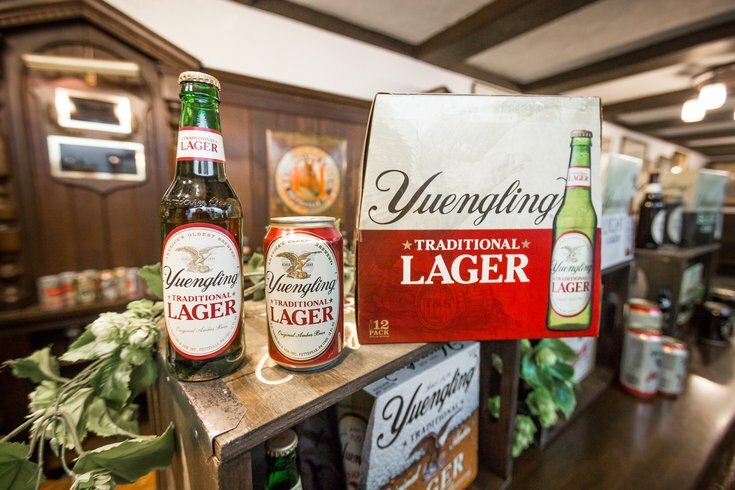 The new bottle, can and package design of Yuengling's flagship traditional lager. Listen up, Lazy drinkers. There's a new way to get your beer delivered right to your door. Postmates, the delivery service that employs cyclists to bring your favorite takeout to you, has launched its DRINKS feature in Philadelphia and Charlotte, the company announced Thursday. Starting today, Postmates is launching our DRINKS service* in Philadelphia & Charlotte. Which means, you can get beer delivered in twenty five minutes or less. That’s right, beer…..delivered. The beer run is done, Philly and Charlotte! Even better: If you try the Postmates DRINKS feature in Philly or Charlotte this week, you’ll score a free month of beer delivery. And all this is just in time for football season. After opening the feature in the app, it looks like instead of you having to pick the distributor or six-pack store closest to you, Postmates does that part for you and simply asks what kind of beer and cider you want. You can browse available beer near you in five different categories: domestic, imported, cider, favorites and beer under $15. Sifting through the feature, it looks like the most you can order are 12-packs, which is unsurprising considering the delivery workers are on bikes. 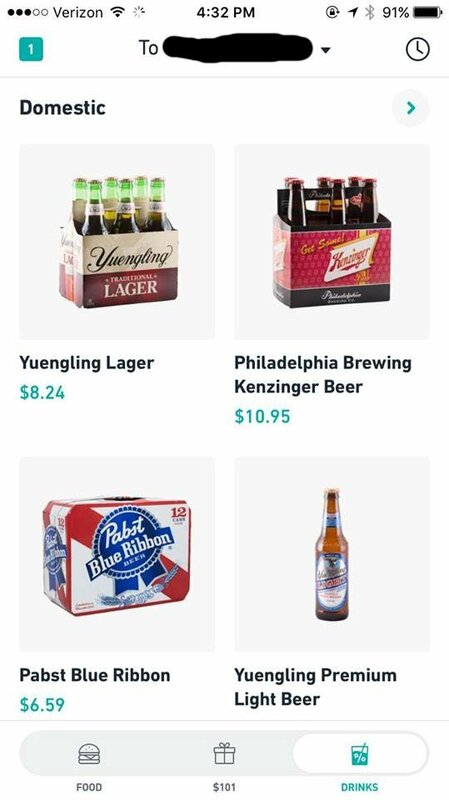 This screenshot shows Postmates' DRINKS feature, which is now available in Philly. As PhillyMag noted, this isn't the only delivery service to offer beer in Philly. QuickSip and GoPuff already do. But again, as said in the press release, you can get free delivery for a month if you take advantage of Postmates' DRINKS feature this week.